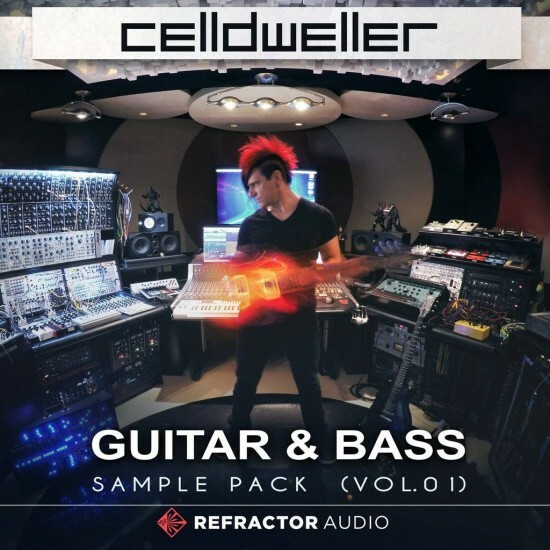 Refractor Audio is proud to present Celldweller's debut Guitar & Bass Sample Pack - featuring a collection of 160 premium samples from the world renowned producer. R..
Refractor Audio is proud to present Celldweller's debut Guitar & Bass Sample Pack - featuring a collection of 160 premium samples from the world renowned producer. Ranging from acoustic, bass and electric guitar, including loopable riffs, stabs and leads along with powerful one-shots that have all been chopped / edited / heavily processed through extensive outboard & modular gear, these samples showcase Klayton's high production quality, intricate sound selection and his unique performance style.